This past weekend, the weather was in the cool 70's and the mornings were the perfect kind of chilly for a fall day. Wishing I could live in a perpetual fall, this lovely weather heightened my excitement for the upcoming autumn months, even if it is a ways off. Earlier than ever before, I have the official autumn bug and I can't get all-things-fall off of the brain. I even picked my clothes out for work today based on fall. It's bad. But, I'm gloriously happy about it! And no, I don't think it's too early to start getting my decorations together. I've decided that on September 1st, my home will be filled with the shades and scents of autumn. Berries and leaves will adorn my tabletops, pumpkins will add an extra fall factor, and sweet cinnamon pumpkin candles will be burning throughout the house. You see, September of last year I was living with my parents prepping during the home stretch leading up to our wedding. I didn't get to decorate a thing. And it wasn't until we were home from our honeymoon, unpacked, and settled in our new home (the second to last week in October) that I finally got the Hill fall decorations up. I discovered that it simply wasn't long enough; the decorations have to be up longer than that. Thus, this September will roll in the beginning of my very favorite season. I'm going all out. No holding back. Kicking it off in perfect fall style. And I'm not ashamed. In fact, I've almost lost interest in the summer months because I'm ready to be at the end of August already. I'm super excited to get my craft on, to create some new autumn-inspired pieces, and to decorate my home in the coziest of ways. I've been daydreaming of orange and red leaves gracefully hanging from tree branches, the hot apple cider, riding boots, and me curled under a cream colored throw lounging in front of the fireplace. Ooh, fall how I love you!! p.s. 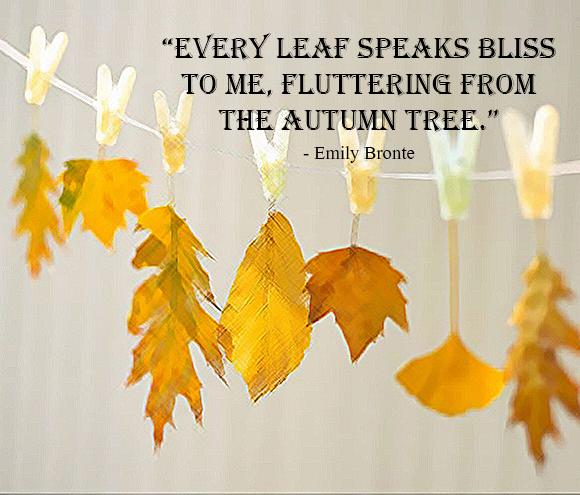 Are you a lover of all things fall too?? Would you share some of your design ideas for sprucing your home for Autumn? I'm in the market for new ideas! Here are some of last year's decorations.